Marriott is removing desks from hotel rooms. Because millennials? When the sports journalist Dan Wetzel checked into his Charlotte, North Carolina, hotel room last Saturday, he was troubled to find it was missing one crucial feature: a desk. And as he soon learned, it wasn’t an isolated oversight. Lamenting its absence in an essay on his personal blog, he claims that its omission is part of a chainwide redesign, one that supposedly caters to the alleged values of millennials, who apparently want nothing to do with desks. 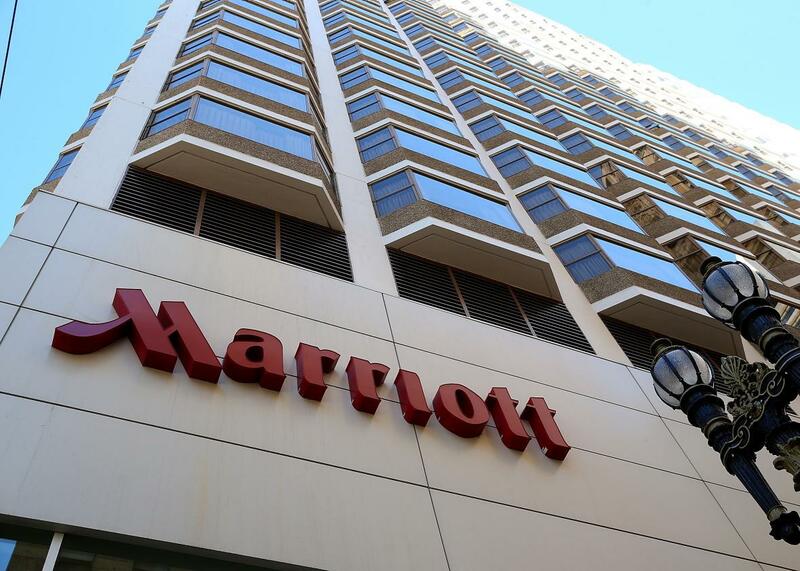 As the Wall Street Journal reported last year, the Great Marriott Deskodus has actually been underway for some time, though its effects are evidently becoming harder and harder to avoid. “Millennials live out of their suitcases … so the company has made closets smaller and TVs and bathrooms bigger,” the Journal wrote at the time, adding that the company had “gotten rid of in-room desks in many hotels” as part of the same initiative. Marriott (which did not respond to a request for comment) trumpets these changes on its website, going so far as to describe them as transformative “innovations” designed to create the “hotel room of the future.” There, however, they don’t advertise the absence of desks so much as the availability of more flexible options. Rooms now include “tables that move with you,” the site claims, accompanying this otherwise unexplained assertion with a photo of a smiling woman, spread out on a bed, remote in hand and popcorn at the ready. Wetzel’s own inquiries affirmed that Marriott’s reasoning was primarily generational. “I was told this had to do with the habits of Millennials, who don’t use desks,” Wetzel writes. Having composed my own share of articles—including a few assembled in hotel rooms—from couches and beds, I’m not inclined to disagree. Those who grew up with laptops tend to have more fungible understandings of work spaces, and more fluid associations between labor and leisure. Like most attempts to describe the desires of an entire generation, however, even if these claims are accurate for some, they don’t appear to be entirely universal. Indeed, just five years ago, Marriott redesigned some of its hotel rooms to emphasize work spaces. At the time, the company’s research apparently suggested that business travelers wanted conveniences like ergonomic chairs and, yes, functional desks. Can a whole generation have changed this much in half a decade? Those same travelers are presumably still patronizing the company’s hotels: Wetzel even cites some of them, pointing to a Flyertalk thread mocking the “almost amusing” new room designs. With this in mind, Wetzel argues that Marriott has been sold a false bill of goods by its consultants. As the company’s site suggests, Marriott’s design philosophy assumes that visitors want to hang out in their rooms, and hence need space for more luxurious pursuits, such that larger televisions and bathrooms that feel “like … personal spa[s]” are crowding out work-specific amenities. But, Wetzel objects, this has little to do with what young people actually do at a hotel. “Marriott apparently thinks kids these days are antisocial losers,” he writes, arguing that they’re more likely to go out drinking at night than to lounge around streaming videos. With all this in mind, Wetzel believes that the young “will back the cause against this corporate behemoth,” joining his protest against desk-free rooms. He may not be wrong. Designers and others who still rely on computer mice, for example, may still want desks. And others who lament the increasingly blurry distinction between work and life may see this as one more attempt by capitalism to co-opt the everyday. All I know is this: I cleared off my own desk as I was starting this post, hoping to take advantage of its solid surface. By the time I reached this sentence, however, my computer was back in my lap again.